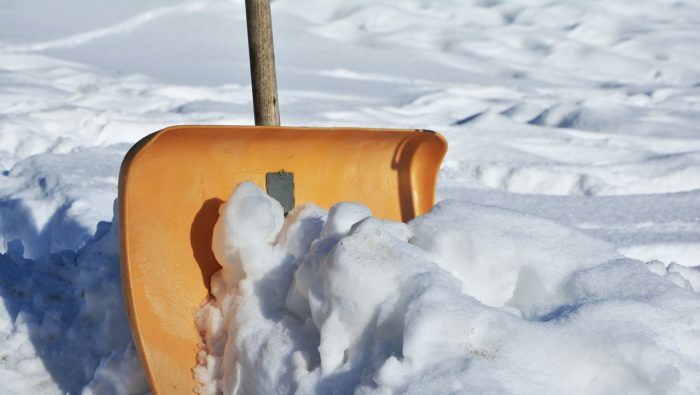 A strong winter storm system will bring heavy snow, a chance for freezing rain, and severe weather. This potent area of low pressure will impact much of the middle section of the country Friday through Sunday. The northern, cold sector of this system will be pounded by heavy snowfall and strong winds. 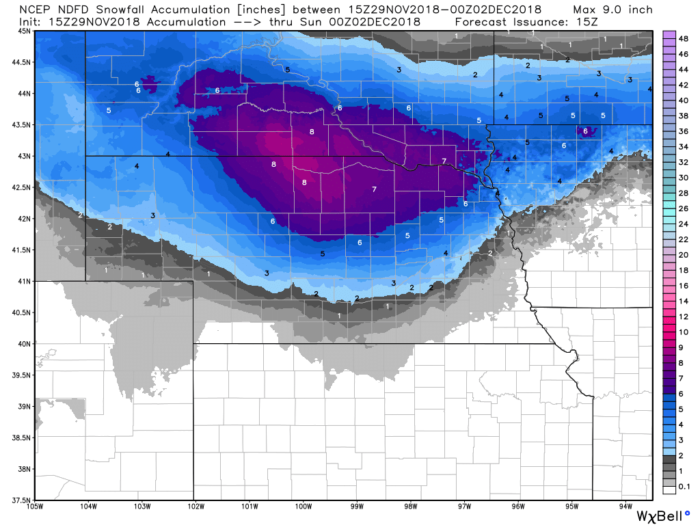 Right now, parts of northern Nebraska and far southeastern South Dakota are looking at 8-12″ of snow from early Saturday through Sunday. Pair that with north winds gusting near 25 mph and we are looking at some dangerous travel conditions this weekend. Here’s a look at the NDFD snowfall forecast for Saturday alone. Farther south, in the warm sector of the storm, severe weather will be possible. 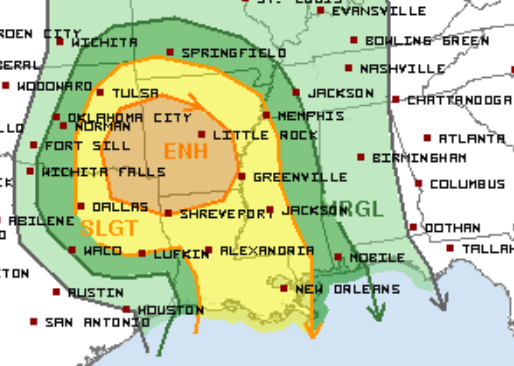 The Storm Prediction Center already has an Enhanced Risk on Friday over parts of Oklahoma, Texas, Louisiana and Arkansas. This includes Shreveport, Little Rock, and Fort Smith. All modes of severe weather will be possible: damaging wind gusts, large hail and even a few tornadoes. Storms will begin to develop along a strong cold front sometime Friday afternoon and continue into Friday night. The storm system will continue to bring snow to parts of Iowa, Minnesota, and Wisconsin on Saturday. Farther south, along the Gulf Coast, severe weather will be possible Saturday. Stay tuned for details. Follow us on Twitter for updates!